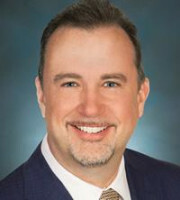 Michael McCue is a partner in Lewis Roca Rothgerber Christie LLP’s IP and technology practice group. He provides trademark services from clearance through to registration, enforcement and litigation. As both a litigator and trademark prosecution attorney, he has the perspective and knowledge to ensure that his clients’ trademark portfolios are developed, managed and enforced in a manner that maximises their value and strength in the United States and around the world. Mr McCue takes a pragmatic and cost-effective approach to trademark work and provides a high level of client service. He has litigated hundreds of trademark cases in federal courts throughout the United States and before the Trademark Trial and Appeal Board of the US Patent and Trademark Office, including cases involving some of the most famous trademarks in the world. He has a near perfect record in obtaining summary judgment for clients in even highly complex cases. He also has extensive experience with brand protection, trade show seizures and domain name recovery. In addition to trademark services, Mr McCue counsels clients on related rights, including copyright, trade dress, design patents, trade secrets and rights of publicity. He has particular expertise in the technology, retail, fashion, hospitality and entertainment sectors, and has represented clients such as MGM Resorts International, Visa, Restoration Hardware, NBCUniversal, NIKE, Lucky Brand, HDMI Licensing, Las Vegas Sands and Electronic Arts. Trademark Insider, ranked for trademark filings.